This poster advertises the 2012 annual conference of the Centre for Medieval and Early Modern Studies (at The University of Western Australia) and the Perth Medieval and Renaissance Group, which was held at UWA on 17-18 August 2012. 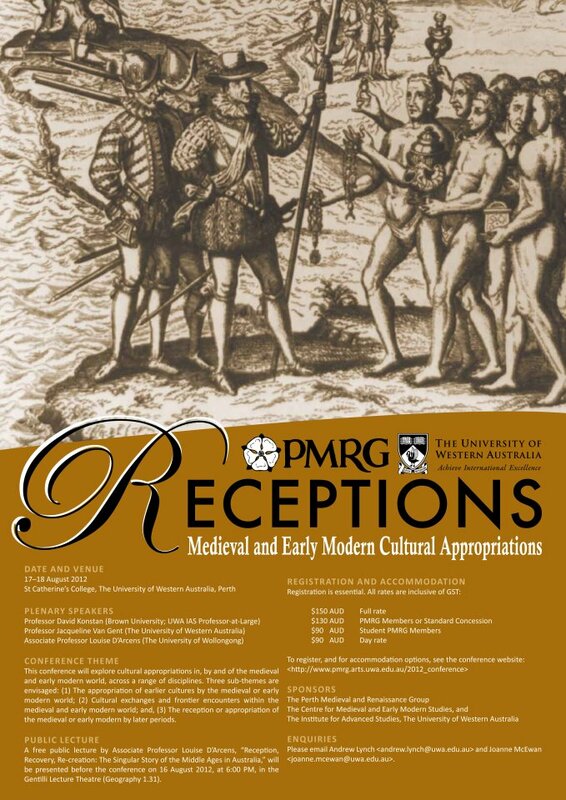 The theme of the conference was “Receptions: Medieval and Early Modern Cultural Appropriations”, and featured papers exploring a range of cultural appropriations in, by and of the medieval and early modern world. One of the possible themes or approaches suggested by the convenors was medievalism. For more information about this conference, see: http://www.pmrg.arts.uwa.edu.au/2012_conference. 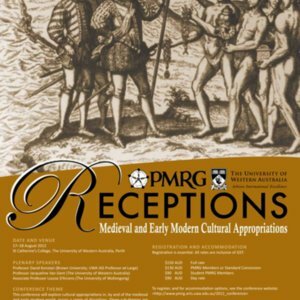 ““Receptions: Medieval and Early Modern Cultural Appropriations” Conference Poster,” Medievalism in Australian Cultural Memory, accessed April 25, 2019, http://ausmed.arts.uwa.edu.au/items/show/792.